Globally, hemp has been a highly beneficial crop throughout the start of civilization, and remains to be to this day. Presently, countries in Europe, Asia, North America, and South America legally grow and process hemp, with yearly global production reported to be more than 500 million pounds. 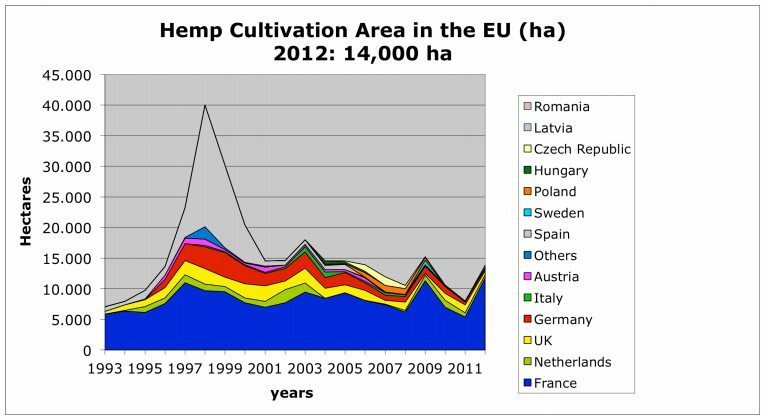 In 2015, Germany hosted more than 230 leading experts of industrial hemp from 39 countries, from a number of different industries, at the “12th International Conference of the European Industrial Hemp Association (EIHA)”. The principal suppliers of hemp include Canada, the European Union, and China. (See Figure 1.) Though in 2011, Chile was one of the largest cultivators of hemp, over the past few years, Canada has become one of the three global leaders in hemp production. 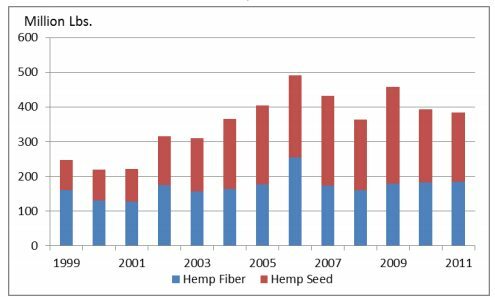 Canada’s hemp cultivation has grown steadily since 2008, thus growing in demand for processing facilities. 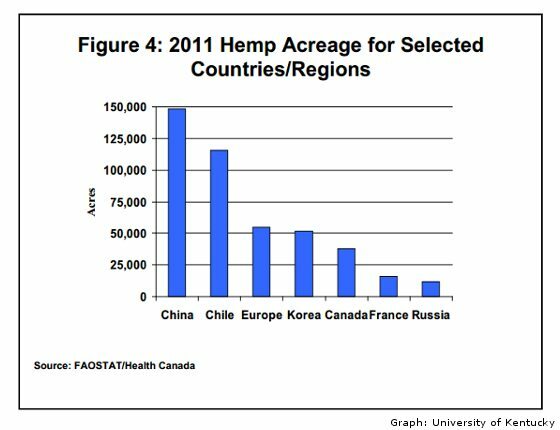 Canada mostly produces hempseed used for food consumption and body care products. These include shelled hempseeds/hemp hearts, hemp oil, and hemp protein, which can be consumed or made into cosmetics or personal hygiene products. The majority of hemp seed production targets the food market, especially that of the U.S.
China grows hemp primarily for textiles that are made into clothing, rope and twine. Currently, China is the largest exporter of raw and processed hemp fiber to the U.S. because of their advanced spinning facilities matched with low labor costs. Other nations have found it difficult to compete with these factors.